2008-07-21 21:19 UTC Click image for enlargement. Later that day, a humpback whale (Megaptera novaeangliae) was spotted spouting off the port side of the ship. Only the spout and one fluke were visible before it disappeared. 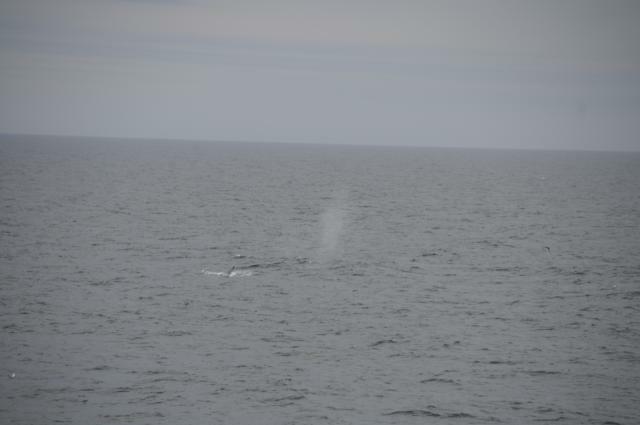 This was to be the only whale sighting during the voyage.